Bulgaria's Regional Development Minister, Rosen Plevneliev, has denied the rumors hi will be running for president or Mayor of the capital Sofia in the upcoming Presidential and local elections in the fall of 2011. Plevneliev pointed out that he has been offered his current job because of his expert knowledge and business experience, and in order to achieve specific results. "I am not a politician and I was not invited in the government as a politician," Plevneliev told the Bulgarian National Television Monday. " I have an agreement with the Prime Minister to work honestly and as hard as possible in these very tough times for the country. We have not talked about me becoming Prime Minister, President or Mayor," he declared. Asked whether he would agree if the ruling centrist-right GERB offers him to run in the elections, Plevneliev said he hoped they would not do that, as he wanted to focus on the development of the infrastructure instead. 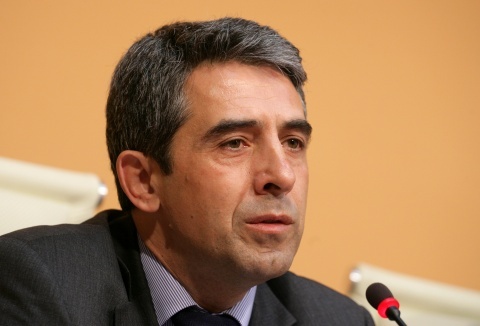 Rosen Plevneliev is the second highest rated Bulgarian political figure after the country's EU Commissioner Kristalina Georgieva, who leads confidently with an approval rating of 62%, according to Gallup International's latest poll. The Regional Development Minister has 39%, which is equal with Prime Minister Boyko Borisov and current President Georgi Parvanov.